The National Association of Black Journalists celebrated its 40th Anniversary with a reception in Washington, D.C., where it was founded and on the actual founding date, December 12. Dorothy Tucker, who is NABJ Vice President Broadcast and NABJ Chicago board member, attended. 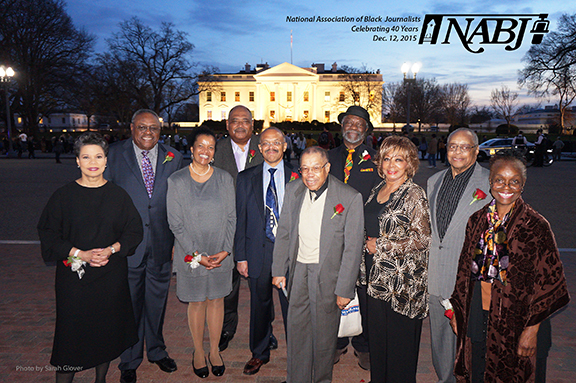 NABJ President Sarah Glover captured 10 of the 44 NABJ Founders in front of the White House after the reception.